1. Poor circulation- loss of bloodflow leading to angiplasty, bypass or amputation. 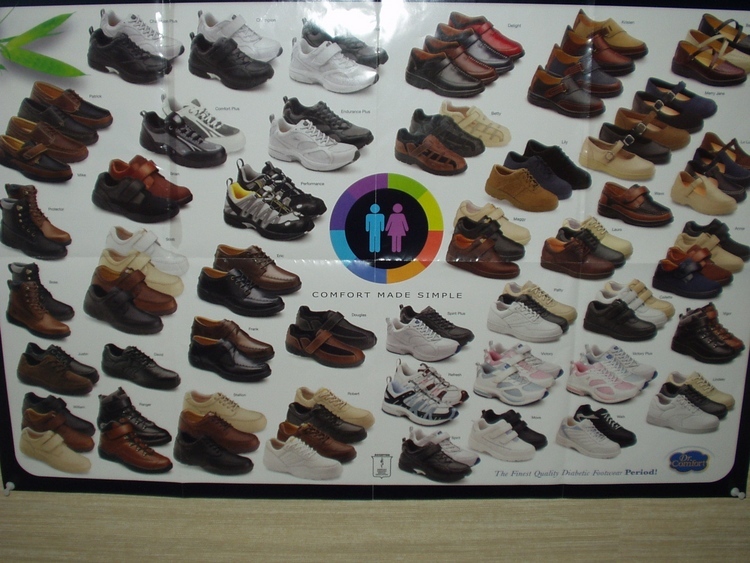 In order to prevent problems, medicare started the DIABETIC SHOE PROGRAM. A diabetic who is at risk is elgible for 1 pair of special shoes and 4 pairs of special insoles per year. The shoes provide more room and protect the diabetic foot from injury and ulceration. 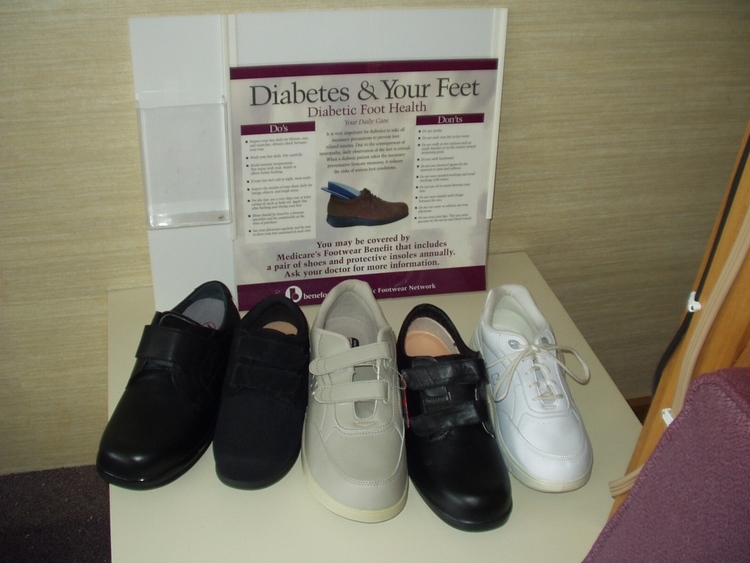 The diabetic shoes program has saved the medicare program millions of dollars in avoiding serious foot problems. A single diabetic ulcer averages a cost of over $10,000 in medical cost. Above and below are a brief look at the styles available at our office. We use 2 several companies in order to provide a large choice of styles and colors.